This agreement sets forth the terms on which you may access and use our services. 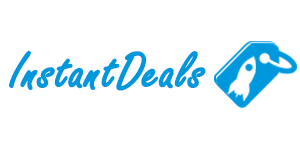 The services offered by instant-deals.com include the instant-deals.com website (the “Site”) and any other features, content, or applications offered from time to time by instant-deals.com in connection with the Site (collectively, the “instant-deals.com Services”). We provide online coupons, discount codes, deals, promotions and product reviews to our users. instant-deals.com is not responsible for the redemption, errors, omissions, or expiration of online codes or coupons. Most of deals are just promotion of seasonal discounts or campaigns, in these cases it’s not needed to redeem any coupon codes which can be clearly seen on our pages. It is your responsibility to make sure that a discount, special price, or free offer is present in the checkout process at the applicable merchant website. All offers and promotions featured as a part of the Service are subject to change without notice; instant-deals.com has no control over the legality of any coupons, or the ability to complete the sale in accordance with the offers of any merchant. The instant-deals.com Services (including the Site) are available for your personal, non-commercial use only. You represent, warrant and agree that no materials of any kind submitted through your account or otherwise posted or shared by you through the instant-deals.com Services will violate or infringe upon the rights of any third-party, including copyright, trademark, privacy, publicity or other personal or proprietary rights; or contain libelous, defamatory or otherwise unlawful material. You further agree not to harvest or collect email addresses or other contact information of users from the instant-deals.com Services by electronic or other means for the purposes of sending unsolicited emails or other unsolicited communications. Additionally, you agree not to use any software or automated systems or scripts to collect information or Content from the instant-deals.com Services for any purpose. You further agree that you will not use the instant-deals.com Services in any unlawful manner or in any other manner that could damage, disable, overburden or impair the instant-deals.com Services. or (c) your use of such posted content constitutes fair use. You further represent and warrant that posting such content does not violate or constitute the infringement of any patent, copyright, trademark, trade secret, right of privacy, right of publicity, moral rights, or other intellectual property right recognized by any applicable jurisdiction of any person or entity, or otherwise constitute the breach of any agreement with any other person or entity. The term “copyright” protects rights to the intellectual property created and published online at instant-deals.com. It includes visual design, layout, code and processes. No person or organization may use or reproduce in any form any part of instant-deals.com without prior written consent. This prohibition applies to unauthorized uses or reproduction for public or private use. Instant-deals may use, copy or reproduce images and all contents based on affiliate agreements with retail websites. instant-deals.com does not permit reproduction, transmission, or storage of content on any other website or in any other form of electronic retrieval system. instant-deals.com does not permit content from third-party sites or electronic databases or retrieval systems without express written permission. instant-deals.com does not send unsolicited emails. If you wish to unsubscribe from any mailing list please click the unsubscribe link at the bottom of the email. instant-deals.com does not sell or share your personal information with anyone. instant-deals.com, the instant-deals.com logo, and any other product or service name or slogan contained on the Service and in any Content are trademarks of instant-deals.com and its suppliers or licensors; they may not be copied, imitated or used, in whole or in part, without the prior written permission of instant-deals.com or the applicable trademark holder. All other trademarks, registered trademarks, product names and company names or logos mentioned on the Service or in any Content are the properties of their respective owners. Reference to any products, services, processes, or other information, by trade name, trademark, manufacturer, and supplier or otherwise, does not constitute or imply endorsement, sponsorship, or recommendation thereof by instant-deals.com. instant-deals.com, its parents, subsidiaries, and affiliates, and their respective officers, directors, employees, and agents, are not responsible or liable in any manner for any Third-Party Content posted, uploaded, or displayed on the Site or in connection with the instant-deals.com Services, whether caused by users of the instant-deals.com Services or by any of the equipment or programming associated with or utilized in the instant-deals.com Services. Although we provide rules for user conduct, we do not control and are not responsible for what third-parties post on the instant-deals.com Services and are not responsible for any offensive, inappropriate, obscene, unlawful or otherwise objectionable content you may encounter on the instant-deals.com Services or in connection with any Third-party Content. instant-deals.com, its parent company, subsidiaries, and affiliates, and their respective officers, directors, employees, and agents, are not responsible for the conduct, whether online or offline, of any user of the instant-deals.com Services. The instant-deals.com Services may be temporarily unavailable from time to time for maintenance or other reasons. instant-deals.com assumes no responsibility for any error, omission, interruption, deletion, defect, delay in operation or transmission, communications line failure, theft or destruction or unauthorized access to, or alteration of, user communications. instant-deals.com is not responsible for any problems or technical malfunction of any telephone network or lines, computer systems, servers or providers, computer equipment, software, failure of email or players on account of technical problems or traffic congestion on the Internet or at any website or combination thereof, including injury or damage to users or to any other person’s computer related to or resulting from participating or downloading materials in connection with the instant-deals.com Services. Under no circumstances will instant-deals.com be responsible for any loss or damage, including any loss or personal injury or death resulting from anyone’s use of the instant-deals.com Services, any Third-Party Content posted on or through the instant-deals.com Services or transmitted to users of the instant-deals.com Services, or any interactions between users of the instant-deals.com Services, whether online or offline. The instant-deals.com Services contain links to other websites that are not owned or controlled by instant-deals.com (“Third-Party Websites”) as well as photographs, text, graphics, pictures, designs, music, sound, video, information, software and other content belonging to or originating from third-parties (the “Third-Party Content”). instant-deals.com has no control over, and assumes no responsibility for any Third-Party Websites accessed through the instant-deals.com Services, or any Third-party Content posted on the instant-deals.com Services, including without limitation the content, accuracy, offensiveness, opinions, reliability or policies of or contained in the Third-Party Websites or the Third-Party Content. instant-deals.com does not investigate, monitor, edit, or censor any Third-Party Websites or Third-Party Content. Inclusion of or linking to any Third-Party Website or any Third-Party Content does not imply approval or endorsement thereof by instant-deals.com. You will be transferred to online merchants, retailers, advertisers or other third party sites through links or frames to complete your transaction. We are a directory of other sites and the offers they promote. The Site does not sell any good or service to consumers and nothing on the Site shall be construed as an offer to sell anything or enter into any kind of business relationship. Any purchases you make will be through other websites and from other companies. You are cautioned to read such sites’ terms and conditions and all policies, including policies regarding sales, returns, warranties, and privacy before using such sites in order to be aware of the terms and conditions of your use of such sites. Be sure to carefully evaluate and investigate such sites on your own to your satisfaction. You are also cautioned to carefully read the terms and conditions of any coupons, specials, sweepstakes, promotions, sales or other offers from these merchants. instant-deals shall not be responsible for any inaccuracies; misrepresentations; product or service liability; offensive, infringing, libelous or illegal materials; lack of availability of other sites, information, promotions, products, or services; viruses or other computer problems resulting from use of such sites; or any liabilities resulting from the terms and conditions of other sites. instant-deals does not guarantee any content on such sites or anything offered by third parties, including but not limited to prices, promotions, products, or services. You are knowingly and voluntarily assuming all risks of using such sites to purchase goods and services and of using the “coupons” and specials listed on the Site. You agree that instant-deals and its licensors and advertisers shall have no liability whatsoever from such third party sites and your usage of them. Our goal is to help you save time and money when shopping online! Occasionally, instant-deals.com offers you chances to receive gifts, products or services from our affiliated partners who we promote or feature. We publish advertisements and suitable email copy with regard to companies, products, and services on our website. Sometimes we receive compensation for our actions depicted herein, including but not limited to posting and publishing. The received compensation may be in the form of sales commissions for shoppers’ ordered merchandise, referral fees for clicks received by advertisers or other third parties, and advertising revenue.